Container gardening allows you to add form and shape to both your outdoor garden as well as your indoor space. 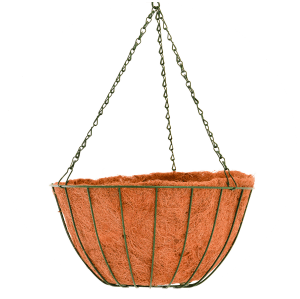 With a vast variety of pots, containers and hanging baskets available to you at Lifestyle, there are many ways to implement your ideas with creativity and efficiency. 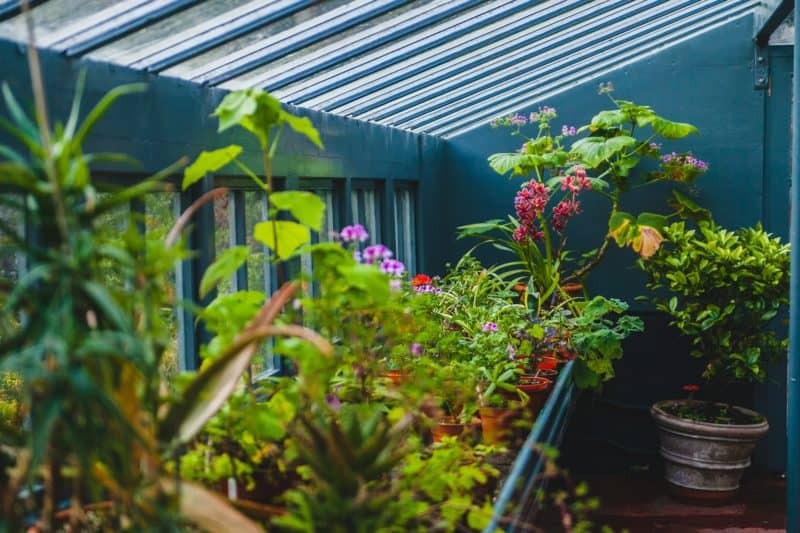 From beautifully glazed Malaysian pots to Italian terracotta imports, wooden stands and plastic planters as well as the largest selection of local cement pots and the ever-popular colorful pot covers for your indoor plants, we have all the options you need. Water features enliven our natural inclination to moving water. They have the ability to create a peaceful sanctuary, giving your garden that special touch that brings both tranquility and landscape architecture to life. 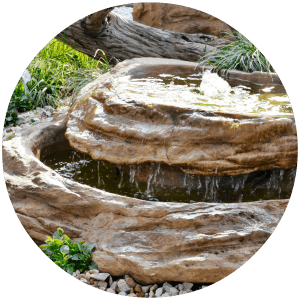 Water features offer additional benefits to your home by increasing curb appeal and home value, reducing noise pollution (with the sound of water overpowering outside noise), increasing humidity in dry regions and improving air quality. 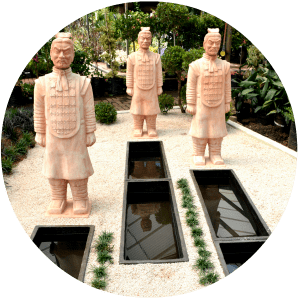 We have a wide range of water features including anything from cement water features in a range of shapes, colours and sizes to rock pools and fiberglass features in different styles to suit your garden needs. A spot to sip your comforting cup of coffee after a long day, a place to admire your beautiful rose bush after a lot of hard work, a space to meditate amongst a peacefully flowing trickle of water – every garden needs spaces like these, and our outdoor furniture are the perfect features to help create them. Outdoor furniture allows you the opportunity to admire the outdoor landscape you have created for yourself. Our concrete, wooden and metal furniture are sure to compliment both your home and garden. With picnic tables, patio sets, benches and dining tables you are sure to find the perfect piece to create your enjoyment space. 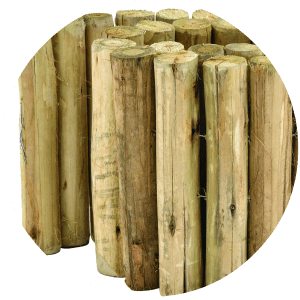 Whether its pebbles, wooden stakes, pavers, or stones we have the decorative touch that you need to finish off your garden space. Pattern planning and choosing that perfect colour blend for your home can give the finishing touch to your creative idea for your entrance, pathway, succulent garden, labyrinth or for creating the tidy lines that brings it all together. The benefit of paving is that you can replace singular pavers and quite easily change up your design as you need. Our pavers consist of many different variations in sizes and colours to offer the versatility to create a design which suits your needs however big or small. Trellising provides architectural structure and depth to your garden. It allows you the ability to screen and connect pieces of your garden while at the same time providing your plants with an opportunity to trail into beautiful shapes over the structures you’ve created. The possibilities are endless and the creations are numerous with trellising; dynamic is added easily, lines are drawn with precision, unsightly areas are beautified instantly and interest is added spectacularly. 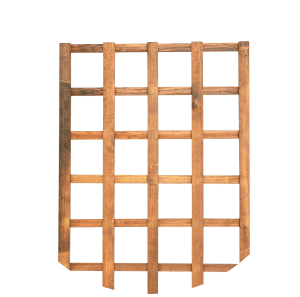 With our wood, bamboo and metal ware options in a number of variations such as flat trellising to larger full form structures as well as expanding bamboo you are sure to find the perfect trellis for your home and garden. 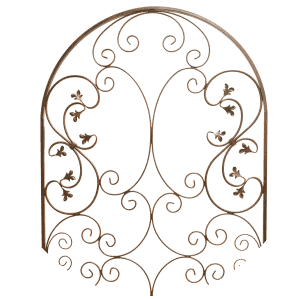 Long lasting and visually appealing metal ware provides the perfect long-term garden addition. Being versatile, creative and functional our range of metal ware products provide more than just a beautifier but also the useful pot holder, garden hose reel, plant trailer and center piece to your patio wall. Whether you are looking for a small addition like a wall-mounted reel or an absolute showstopper like a beautiful pergola we have an outstanding variety. 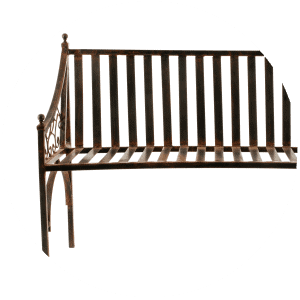 Our range has everything you need including ornaments, pergolas, wall mounts, obelisks, benches, trellises and vertical structures amongst other stunning garden features. Add character to your home and garden with ornaments that allow you the opportunity to decorate with the perfect accessory or detail. Be it an animal, structural feature or creative accessory our ornaments give you the chance to add that personal quirky touch to your garden. Varying in shape, size and design our leopards, terracotta soldiers, gnomes, birds, hedgehogs, ornamental features and myriads more are sure to please your eccentric desires. What’s a beautiful garden if there’s no one to share it with! Nothing says you’ve done it right more than natures stamp of approval, attracting and enjoying birdlife is a must in the modern garden. 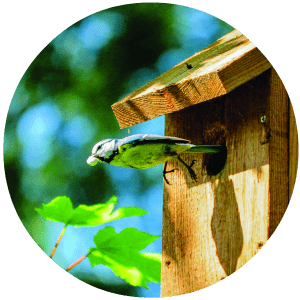 From beautiful varieties of feeders, to bird feed and bug houses our aim is to give you all the options to turn your garden into a nature friendly one.